On January 15, 2009, Capt. Chesley “Sully” Sullenberger attempted to make an emergency water landing on the Hudson River in New York. A flock of geese had taken out both engines and the plane could have easily crashed had something not been done. No airline had ever landed in the river before and not killed everyone on board, so this was indeed a desperate last attempt to land. Miraculously, all of the 155 passengers and crew survived, and our captain was hailed as a hero to the world. It was such a fantastic event that it seems silly that there would even be a controversy regarding the incident. Most of the time when planes go down, no one walks away alive. When we’re lucky, a few people survive. In this situation, everyone got to go home to their families. That is such a great achievement that even I get teary eyed just thinking about it. 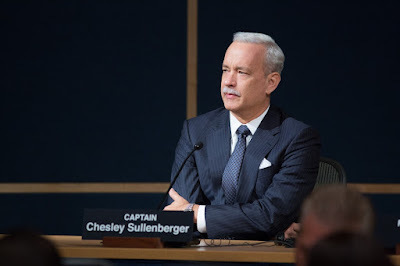 Despite how lucky everyone was, the airline had insurance issues with how to collect money for the plane, and in Clint Eastwood’s “Sully” we follow the events where our brave captain (played by Tom Hanks) is treated as anything but a hero. He is questioned for his judgment. He is told that computer simulators showed that he could have glided the plane back to the airport, everyone would have been safe, and the airline would still have a plane to show for it. Interestingly, “Sully” isn’t even really about the man it follows. This is a movie about money, and how greed poisons even the good things in life. For the airline, they are more interested in the property they lost. For the insurance companies, they don’t want to pay for that property. It doesn’t take long for the media to turn into the fear mongers they are when they start publicly questioning whether Sully’s actions were reckless. I mean, sure, there was a chance that landing in the river would have killed everyone, but from my perspective this was always going to be the case. The plane was going down. 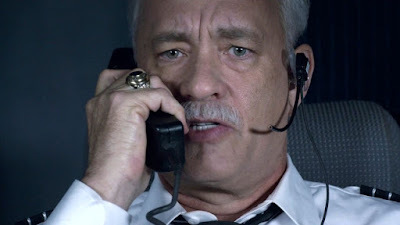 When a plane goes down the pilot doesn’t have much time to decide what to do, and so Sully made the call he felt would result is the least amount of damage and casualties. That everyone walked away breathing was of brief comfort to the companies that stood to gain and lose money in all this. Eastwood is very good at highlighting this problem while managing to keep the focus on Sully as a human being who was simply doing his job and (thankfully) managed to do it really well on this particular day. 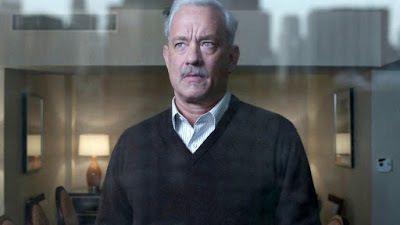 Tom Hank’s performance is very human and touching. Eastwood’s direction is largely good, and the scenes of the plane going down ranks among some of the best he’s made. That said, I am…confused, by the editing of the film. 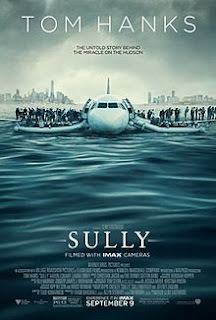 I don’t know if it reflects a world that needs to know what is going to happen before anything actually does, but for some reason the story starts with Sully being investigated for recklessness, and then flashes back to the crash. I don’t understand why Eastwood structured the film this way or what he hoped to accomplish by doing so. Showing the events in chronological order would have made much more sense, as the movie would flow in a way where life is normal, something happens, there is brief happiness, and then reality comes in to remind us that, no, we truly can’t just be happy everything turned out fine. Since most people seeing this likely aren’t pilots, it’s not like the questions of whether or not he made the right call in trying to land the plane on the water can even be in question. Maybe a pilot who knows the lingo could throw in his two cents, but for the average person all they’ll see is a giant machine about to fall out of the sky. I want to stress that restructuring the story doesn’t make this a bad movie, only that it doesn’t make a whole lot of sense and it ruins what could have been a very strong structure. It is because of this that “Sully” is not the home run it could have easily been. The actors are all good in their roles. The screenplay is solid. The direction is great. The movie was filmed with IMAX camera’s, and seeing it in that format results in quite an intense experience. The movie might even be better than the star grade initially suggests. However, Eastwood has been in this business a long time and has directed a lot of great movies. I believe he should have known better than to edit the film the way he did, and for that reason I can’t help but watch “Sully” with a little bit of disappointment, even if its heart is in the right place. Parents, there is one use of the f word and the plane crashing is a little intense. Recommended for ages 10 and up.